What is Meeting Management and Resource Scheduling? There is so much nomenclature within the IT and software industry that it can often be hard to differentiate one category from another. The Resource Scheduling and Meeting Management solution category is a bit like an amorphous net that, depending on who you ask, can encompass much more than initially meets the eye. And, like most tech segments, the category is ever changing as new technologies develop and new expectations of what it means to be a connected, efficient office evolve. Meeting Management systems, Resource Scheduling applications, Meeting Room Booking systems, and Workplace Management systems … what is the difference? Is there one? Each of these software solutions support various aspects of scheduling spaces and amenities in a corporate setting. Spaces, meaning particular rooms, such as a conference room, huddle room, or hot desks. Amenities include table set-ups, AV equipment, catering or other associated meeting services. Overall, these solutions simplify the process of finding available space and resources, which saves time and effort that can be better spent on tasks that are more important. Executed broadly and effectively, they transform workplaces and workplace experiences. So, technically speaking, each of these categories falls under the general umbrella of Resource Scheduling, which can include everything from room rentals to visitor management and beyond. Is a meeting management system that only helps users find and book rooms considered Resource Scheduling? Yes. How about a fully integrated system that takes care of everything – rooms, catering, messaging, visitor management, and analytics? Managers and Executives can use the Gartner Market Guide to compare market-leading vendors or Resource Scheduling and Meeting Management solutions to select the tools that make finding and reserving space and services more efficient for employees. According to Gartner Peer Insights, the resource scheduling market consists of vendors that offer technologies that support various aspects of scheduling for corporate facilities such as meeting rooms, conference spaces, offices, and desk hoteling. These software solutions may also include scheduling of other services such as catering and visitor management. A highlight and key feature of resources scheduling software is that it allows organizations to support large and mobile workforces with a smaller real estate footprint without sacrificing employee productivity. Meeting management and resources scheduling applications simplify the process of finding an available space, determining which amenities are provided, booking the space, and providing other services. Gartner takes a highly functional lens to what these solutions offer companies. G2 Crowd includes most of the same features and functions that Gartner calls out in their definition of meeting room booking systems—such as booking capabilities and integration with calendars and email systems—but they also more prominently comment on the value added to individual users. According to G2 Crowd, meeting room booking systems provide simple tools for reserving conference rooms and other spaces or resources within an office or workplace. 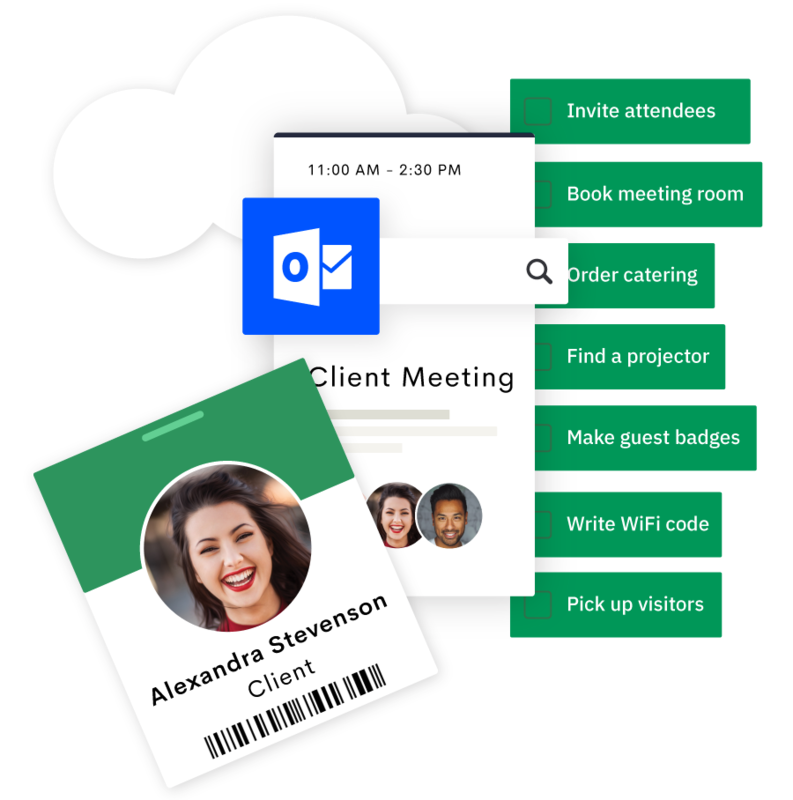 The software ensures that organizers and attendees have the necessary accommodations for important meetings, and at the same time, office managers maintain an accurate, up-to-date view of how the company utilizes resources. Office managers can even program the solution with user permissions and other restrictions to ensure appropriate utilization of resources. Meeting room booking systems help users plan and invite others to meetings, scrums, sales calls, one-on-ones, and brainstorming sessions. The tools make the process of booking rooms and inviting attendees more efficient and prevent double bookings and other meeting faux paus. G2 Crowd also notes that the best and most comprehensive meeting room booking systems include analytics features to offer insight into shared space usage and help refine room-scheduling protocol. These tools often integrate with or share features of a visitor management software to check in and track information about meeting attendees. This is particularly useful for attendees from outside the company. Where does AskCody fit in? AskCody’s net in the Meeting Management and Resource Scheduling market is wide. It covers every element mentioned above, and many that are not. We are a part of the Meeting Management market, but we are so much more. That’s because AskCody’s entire purpose revolves around efficiency. We dismantled every second of the meeting and resource booking process, examined it from the inside out, and engineered solutions that eliminated wasted time and effort. We found weak spots and frustrations from the front desk to the final meeting minute and rooted them out, replacing them with a technological solution that makes offices more efficient than ever. More than just a platform to pull of flawless meetings, AskCody is the one tool employees need for booking resources when traveling between offices, finding hot desks, and tracking down colleagues. No matter what you call the market or which tools you determine are most important for your office, your resource scheduling system should be a tool that drives efficiency and saves time. Meeting room booking and resources scheduling eliminate manual processes and disjointed point solutions and transform your office into a modern environment. At AskCody, we help companies make that massive shift to a more advanced and modern technological hub that transforms cross-organizational processes, improves productivity, and drives operational efficiency to optimize the way the workplace is managed and how people work, meet, and collaborate. Meeting management and resource scheduling platforms play an important role in today’s modern workplace. They free employees from some of the most tedious office tasks and enable them to spend more time on what matters. Offices cannot move forward by holding on to the same technologies of yesterday. The workplace of tomorrow emerges when employees are empowered to work better.